Like a burst of sunshine, this gorgeous necklace is sure to make you happy! 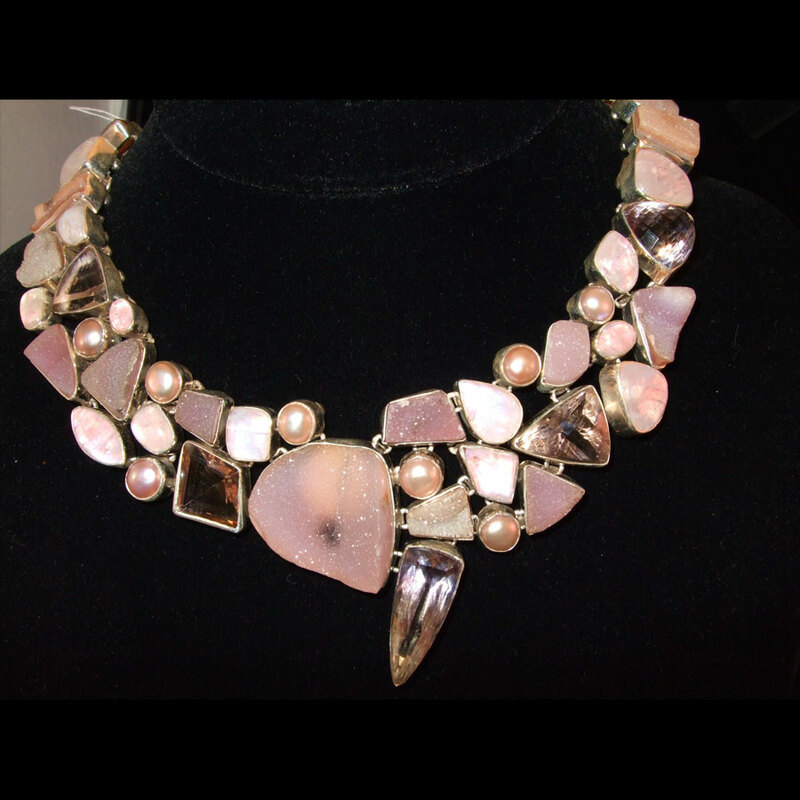 It features 7 large Baroque Pearls surrounded by white and golden Swarovski Crystals. It just bursts with beauty and bling! Each piece is set into .925 Sterling Silver. It can be worn between 16-20″ in length as it has a lobster claw clasp and chain on the back that make it adjustable! This is just a burst of sunshine that will make you smile all day!